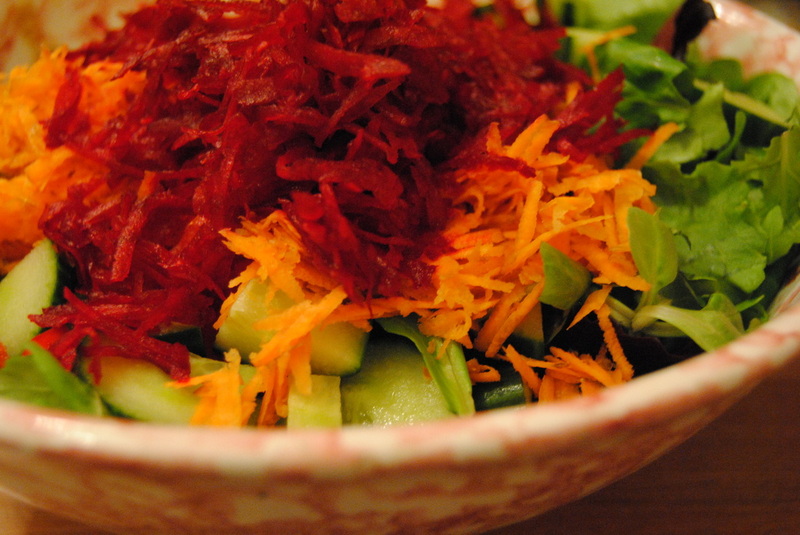 There is something about grating vegetables that make them taste delicious. It brings out the water content in the food and also makes it easier to chew them. This salad is a simple salad with mixed greens, sliced cucumbers and red peppers. 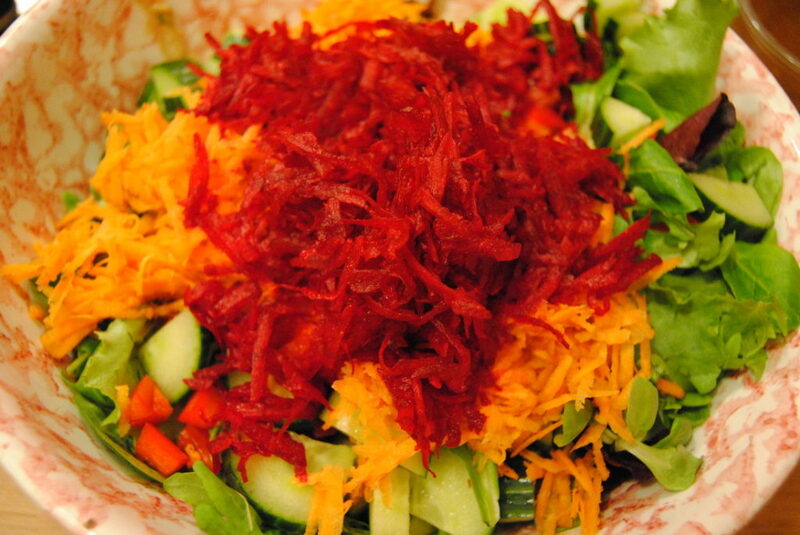 It is topped with grated carrots and beets, which not only adds colour but many nutrients. As a salad dressing, mix together a little olive oil with fresh lemon, sea salt and cracked pepper. Simple, but tasty!